It’s one thing to determine just how many of us are using social media, and which social media we are using. It’s another thing to find out how wealthy people are using social media, and how they are using it to affect their bottom line. Spectrem’s latest study, Using Social Media and Mobile Technology in Financial Decisions, details how affluent investors use social media, and how they use it to stay in contact with the financial advisors who assist them with their wealth. The Spectrem wealth segmentation reports separate affluent investors into the Mass Affluent, with a net worth between $100,000 and $1 million, Millionaires with a net worth between 41 million and $5 million, and Ultra High Net Worth investors with a net worth between $5 million and $25 million. 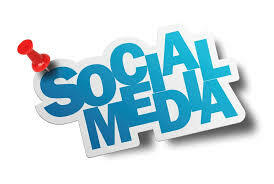 Three-quarters of all Millionaires use some form of social media. With 60 percent on Facebook and 40 percent on LinkedIn, just to offer some examples. But there is very little use of social media to perform financial tasks, although 21 percent say they use YouTube to watch financial videos. Only 7 percent used LinkedIn to read financial articles, and 3 percent use Facebook to get market updates. However, 76 percent said they watch videos on financial websites, and 51 percent watch videos of financial commentators. Higher usage is reported among Millionaires under the age of 45. Communicating remains a standard transaction, meaning affluent investors prefer to talk to their financial advisor on the telephone. Of the 64 percent of Millionaires who have a primary financial advisor, 42 percent prefer to communicate with their advisor on the telephone and 34 percent prefer to meet in person. Twenty percent prefer to communicate with their financial advisor via email. And a similar percentage said they have texted their advisor in the past year. There is also very little contact between advisor and investor from advisors being on social media. Only 4 percent of affluent investors follow their advisor on LinkedIn, and only 3 percent do so on Facebook. Regulations regarding contact on social media do have an effect on those numbers. However, 9 percent of Millionaires said they would give extra consideration to a financial advisor that uses social media to communicate with clients. Thirty-three percent of all Millionaires said they would consider having a video-chat with their advisor, and would prefer to do so over a tablet or e-reader as opposed to a smartphone.